ARK: Survival Evolved is a sandbox survival simulator set in an open world, pitting the players against dinosaurs and other players. The title is the debut production of Wildcard Studios, a developer team founded by a former Microsoft Game Studios employee Jesse Rapczak, and has been created for PCs and eighth-generation consoles. The gameplay mechanics are modelled after the iconic MMO sandbox games such as DayZ, the major difference being that the role of the ever-present zombies was taken over by prehistoric reptiles. Our character finds himself, defenceless and naked, on an uncharted island, and our task is to survive for as long as possible in the hostile environment. In order to remain alive we must hunt and gather raw materials, which can be used to craft weapons and various tools necessary for our existence. We can develop our character by learning new skills that will prove very useful for our survival. Some of them even allow us to tame dinosaurs, and thus make them our personal mounts. As in most productions of this type, we have a safe haven in the form of a self-made hideout, which provides us with shelter from more dangerous dinosaurs – more than 70 species of these creatures appear in the game, from small flying pterosaurs to real giants, like Diplodocus, Brontosaurus, or the T-rex. They are not the only nuisance as the enemy players can prove equally ruthless, greedily eyeing and trying to steal the goods we've managed to accumulate. The game focuses on online fun, and as per rules of the genre, allows to set up alliances and cooperate with other peaceful players. Nothing, however, prevents us from playing offline, but we must take into account the fact that we won’t be able to face all of the challenges. There are special summoning points where, upon having certain conditions met, we can summon a gigantic creature. Killing it will grant us amazing prizes, but to succeed we need to cooperate within a larger group. 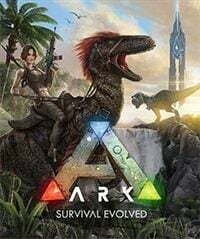 ARK: Survival Evolved for PC, PS4 and etc. employs a classic first-person perspective. PC version also supports Oculus Rift as well as Steam Workshop, making it possible to share content created by the players among themselves. The ARK: Survival Evolved guide offers various hints introducing new players into the game's world. It includes information on topics such as gathering supplies, taming animals, finding artifacts and using engrams.